Episode 20: Masks – Did You Do Your Homework? Did You Do Your Homework? Posted on November 8, 2017 November 8, 2017 by Did You Do Your Homework? We are joined for this episode by friend of the show and Pete’s brother, Mark Rhomberg! Welcome, Mark! We’re back to our metaphorical roots, examining plot and character elements in our discussion of Masks. We look at them both literally and figuratively, and there may or may not be a round of patting each other on the back for not assigning any straight forward superhero stories (although we still manage to talk about Batman, because, well, duh). If Martha seems detached and quiet during this segment, it’s because her internet kept dropping her from the Skype call. Awkward! She joins in long enough to talk about the piece of pop culture she’s ACTUALLY excited about, her brand new MoviePass (although she’d be more excited about it if it would actually work!). Pete gets down with history and everyone gets to chastise Martha for not being able to recall any Drake music. What is the impetus a character might don a mask, and what function does that mask serve? What are the literal and figurative masks our characters wear? How do these characters get “lost” behind their masks (if, in fact, they do)? How does the idea of wearing a mask assist a character function in society when they might not otherwise be able to do so, by being their “true” selves? Our theme was inspired by a tumblr post by Neil Gaiman, which we discuss and which can be found here. 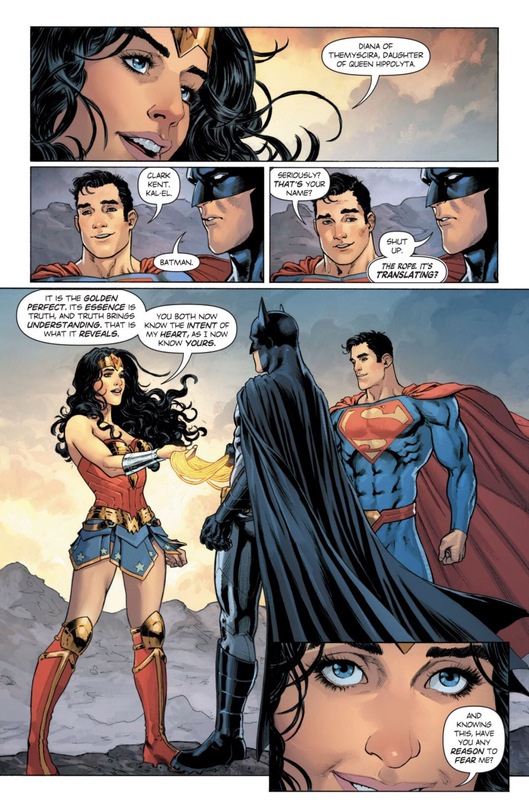 The Wonder Woman page can be read here; it’s a page from Wonder Woman Annual #1, written by Greg Rucka and art by Nicola Scott and Liam Sharp. We don’t get into a lot of detail, so for anyone who didn’t read Enigma, our discussion probably gets a little confusing – in brief, the reader finds out that the title character was basically abandoned down a well for most of his life where he developed psychic powers, lived off lizards, and never learned human feelings. When he is found by the world, he adopts the guise of this esoteric comic character in order to have some kind of purpose that isn’t just psychically manipulating lizards or his mom. On November 22, we’re doing something a little lighter and going guest-less to talk about some of our favorite media to consume around the holidays. Your homework is to watch The Nightmare Before Christmas because it will probably come up! Follow us online @DYDYHpodcast, e-mail us at show@homeworkpodcast.com, and find us on Facebook. You can follow Mark on twitter @MARKRHOMBERG. Check out his awesome bars Splash Studio and Nine Below if you’re ever in Milwaukee. And remember, if you have questions, comments, or ideas for a show, give us a shoutout here or send us an e-mail to show@homeworkpodcast.com. We’d love to hear from you! Author: Did You Do Your Homework?